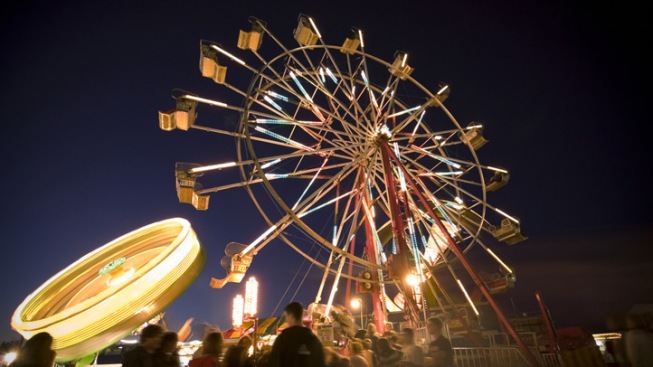 Loudoun County Fair (July 23-28): Loudoun County Fairgrounds (17558 Dry Mill Road, Leesburg, Va.) kicks off the season with carnival rides, a demolition derby, a rodeo and more fried Oreos than you can shake a stick at. General admission $10; $5 for ages 6-12; free for military personnel and kids under 6. Free for those under 15 on July 26 until 4 p.m.Free for age 62+ on July 27 until 4 p.m.
Arlington County Fair (Aug. 8-12): Thomas Jefferson Community Center, 3501 S. 2nd St., Arlington. This is the only one that's free -- and the only one that's Metro accessible (thanks to $2 shuttle service from Ballston). Check out carnival rides and agricultural exhibits, shop jewelry and crafts, and don't miss the Harlem Wizards' theatrical basketball playing. Outdoor movie nights are Friday and Saturday. Free admission; rides extra. Montgomery County Agricultural Fair (Aug. 10-18): 16 Chestnut St., Gaithersburg, Md. Enjoy a week-long celebration of the 64th annual fair, featuring 40+ rides, carnival food, 4-H animal and craft displays, and shows.General admission $10; free for kids under 12; $5 parking (free parking at Lake Forest Mall with shuttle service); $25 carnival one-day wristband. Tractor pull, monster truck show and demolition derby tickets extra. Buy tickets online here. Prince William County Fair (Aug. 10-18): Prince William County Fairgrounds, 10624 Dumfries Road, Manassas, Va. All the standards including rides, animal and midway shows, crafts demos and motor sports. 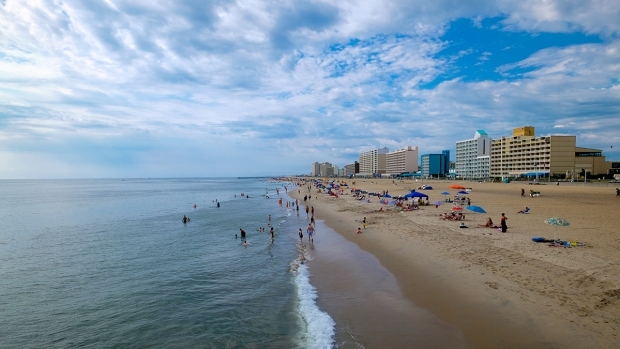 Half-price day is Aug. 12; $2 day is Aug. 14. General admission $8 at the gate; $5 for kids under 6; $20 for ride wristband. Discounts before Aug. 11. Buy tickets online here. Prince George's County Fair (Sept. 6-9): Prince George's County Equestrian Center and the Showplace Arena, 14900 Pennsylvania Ave., Upper Marlboro, Md. Go for live music from Southern Mix Chorus (local men’s barbershop chorus -- yes, really), dance teams and chainsaw artists (...yes, really). The state's oldest running fair also incorporates bull riding and barrel racing for the first time this year. Admission $6 for age 12 and older; $5 for ages 6-11; free for kids under five; free parking. Anne Arundel County Fair (Sept. 12-16): 1450 General's Highway, Crownsville, Md. Head out and see the showcase for agricultural lifestyle. Go traditional with contests for everything from baked goods to woodcrafts, plus pig races and a pie-eating contest. Wednesday, September 14th, is “Feed the Needy night” grab a 14-ounce (or larger) can and get in for $3. General admission $6; $4 for ages 8-15; free for kids under eight; $22 ride wristband Wed.-Fri.; free parking. D.C. "State" Fair (Sept. 22): Not much information has been released regarding D.C.'s annual "state" fair. What we know so far: The fair is running concurrently with Barracks Row Day to celebrate D.C. residents’ talents ranging from the culinary to photography. Expect more details will be announced as the schedule is developed.